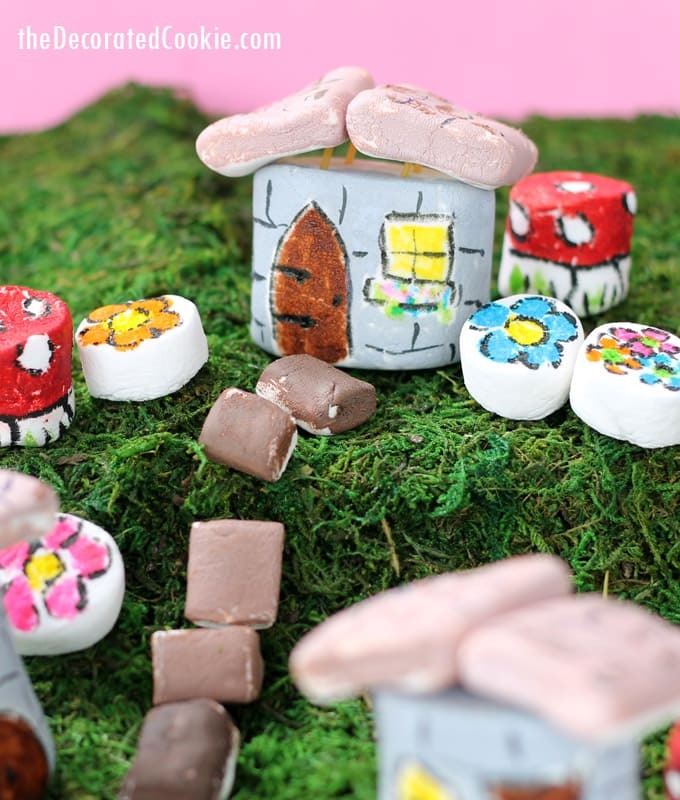 An edible marshmallow fairy garden, for you or them. My latest drawing on food project? 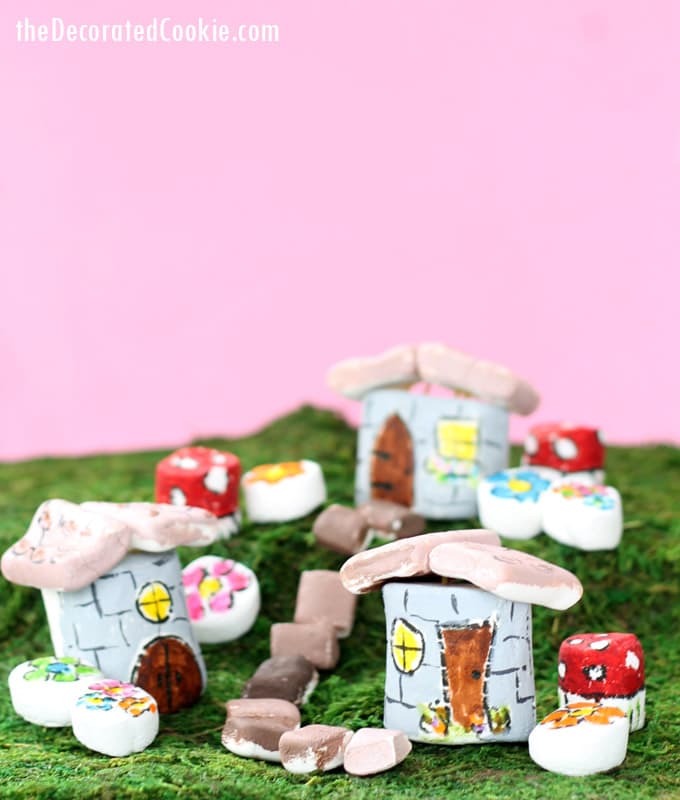 An edible marshmallow fairy garden. 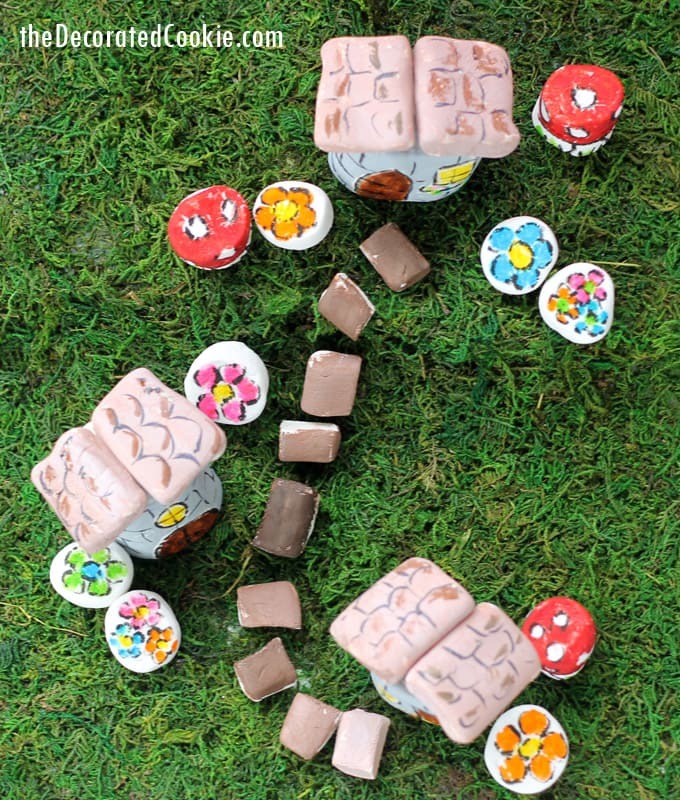 Made entirely out of marshmallows, except that mossy ground cover thing that I got from the craft store. It’s probably not even food safe, huh? 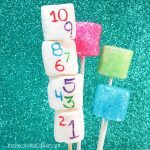 If you want to make an edible moss ground for your marshmallows, check out this tutorial at The Cake Blog. I’m a big fan of fairy gardens. They’re just so gosh darn adorable. And miniature. Plus, my daughter is super big into fairies (and unicorns and rainbows), so I’m surrounded by all the figurines and such. We have a fairy garden started in our own backyard, but I have no proof that fairies have actually visited. Yet…. Yet. 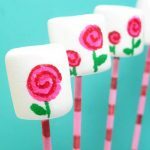 To make these, I used a combination of the jumbo marshmallows, regular marshmallows and flat stacker marshmallows. I also used my handy food writers. My favorite sets are the Americolor Gourmet Writers and the FooDoodler fine line set. To learn how to use food writers, click HERE for more information. 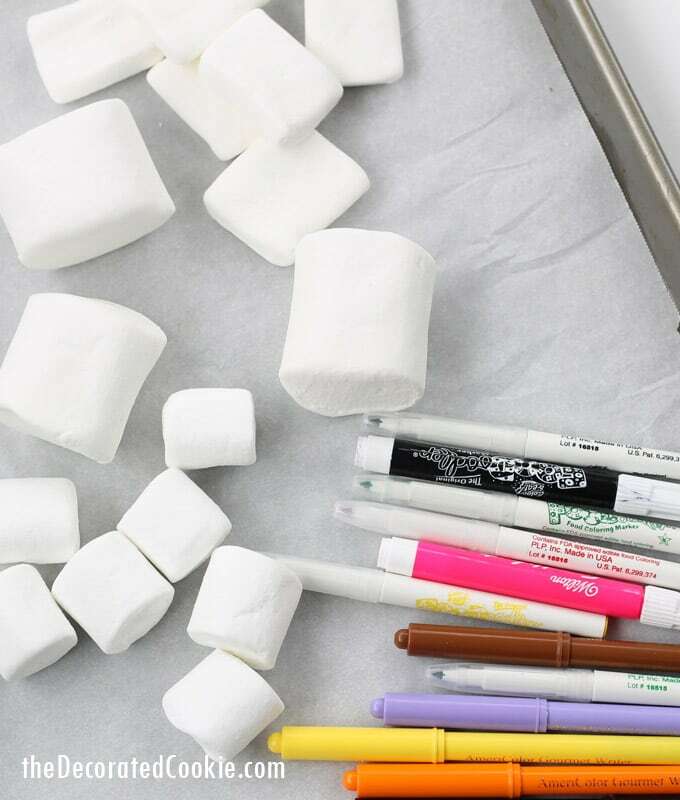 Usually, I only use food writers to draw on marshmallows. But I broke my routine this time and also painted on the marshmallows with food coloring. I really wanted to make the houses a gray stone, and there are no gray writers. I also used brown to paint the roofs and stepping stones, more to save time than anything, since it’s quicker to use a brush than a marker. 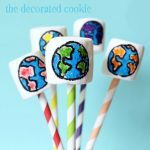 Like marshmallow art? Be sure to follow me over at Instagram. 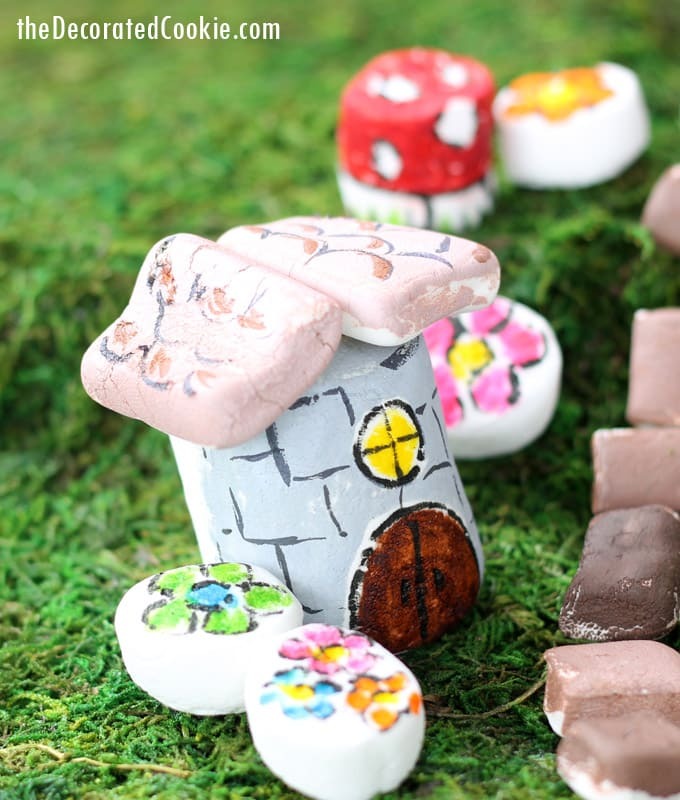 To make the fairy houses, start with a jumbo marshmallow and two flat stacker marshmallows. Draw the door and window on the jumbo marshmallow and fill in with brown and yellow food writers. 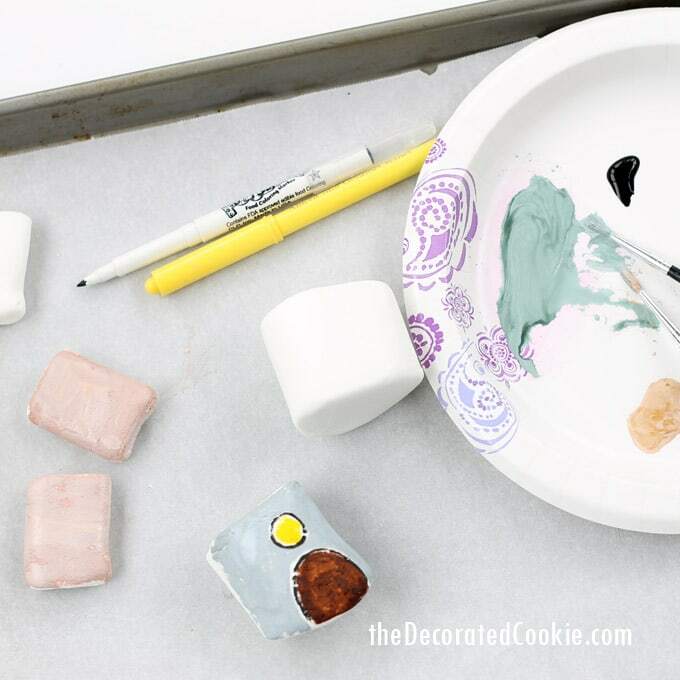 Next, mix a little drop of black food coloring into a few drops of white food coloring, mix it up and paint the rest of the marshmallow gray. Let the marshmallow dry and add details with a black food writer. 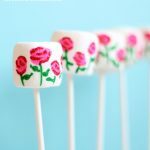 For the roof, add a drop of brown food coloring to a few drops of white food coloring, mix it up and paint the stacker marshmallows. 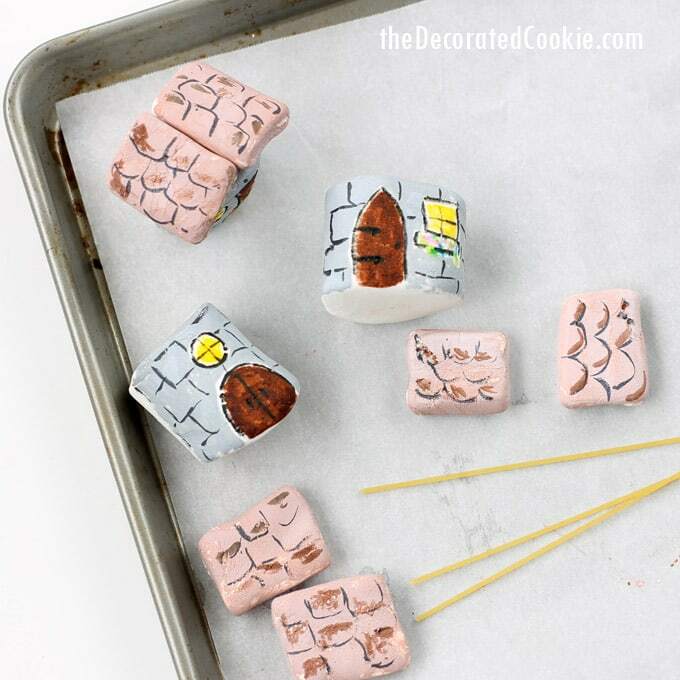 Let them dry and add shading with a brown food writer and details with a black food writer. To attach the roof to the house, use pieces of spaghetti. Note, you can use toothpicks, too, but I prefer spaghetti for safety reasons. 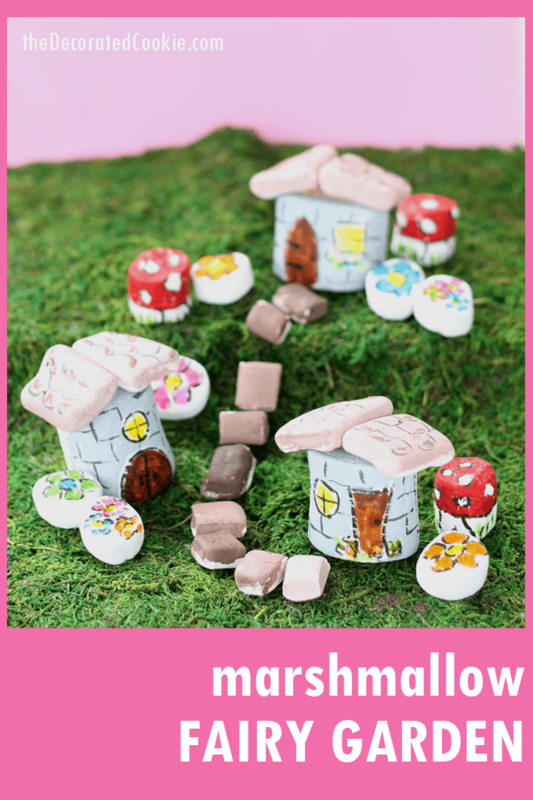 Just in case a fairy decides to eat the marshmallow. 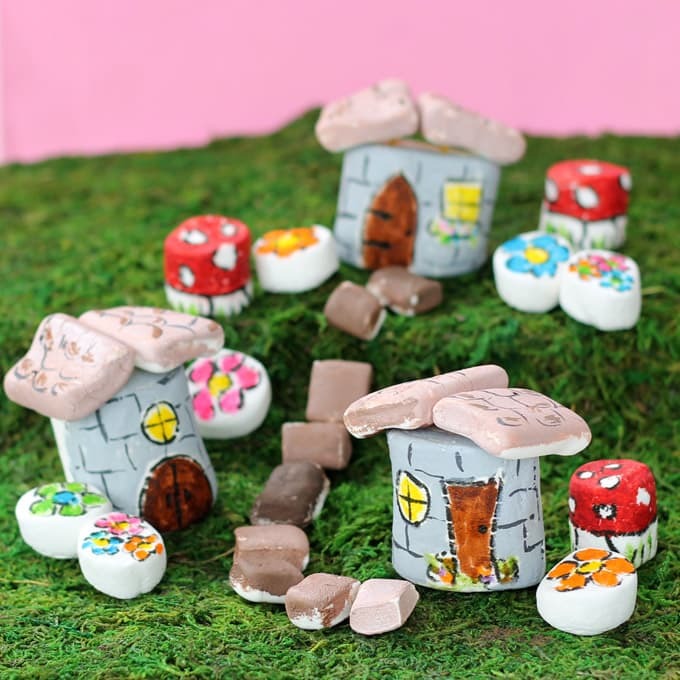 To make the stepping stones, cut a stacker marshmallow into quarters and paint the pieces brown, just as you painted the roof above. 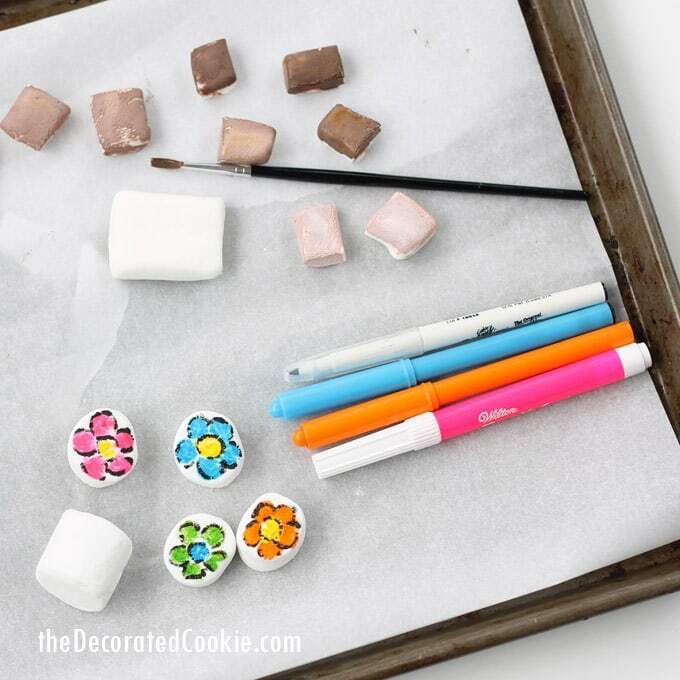 To make the flowers, cut a regular marshmallow in half and use food writers to draw flowers on top. This garden is simply adorable!!! It must have been fun to create. This is the cutest marshmallow treat I’ve ever seen! You outdid yourself with this project.